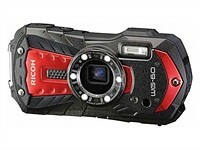 Ricoh's new WG-60 is a waterproof camera with good rugged credentials, a 16MP BSI-CMOS sensor and built-in macro ring light. The camera is nearly identical to its predecessor, with support for FlashAir Wi-Fi SD cards being the only change. Someone finally made a 1"-sensor compact with a fixed prime lens that can take great photos, but it's aimed at Scuba enthusiasts more so than land-based photographers and has a few operational quirks. This week on DPReview TV, Chris and Jordan prepare for the summer holiday season by putting several popular waterproof cameras to the test. If you're considering a rugged camera for the beach or pool this summer, or if you just want to see what a Chris and Jordan fishing show might look like, tune in. 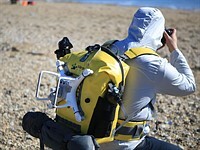 The Inrigo backpack features several unique features for a waterproof backpack, from a resealable-bag-style zipper that can be opened very quickly, to a bluetooth sensor that lets you know when moisture gets inside. 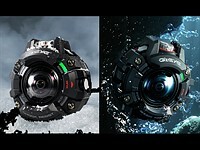 Casio's bionic-looking new action camera, the GZE-1, is built with extreme sports in mind. The little camera is drop-proof, freeze-proof, dust-proof, and waterproof to 50 meters. 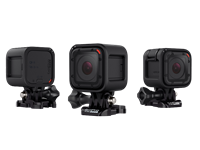 Garmin has entered the 360-camera market with the VIRB, which captures 5.7K video at 30p as well as 15MP stills. Most cameras are delicate objects, and the last thing you want to do is drop them or subject them to wet or freezing conditions. But there are cameras which are specifically designed to handle rough treatment. 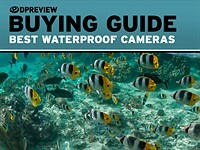 In this list, we've chosen our top five recommendations for waterproof cameras. For those of us here in the Northern Hemisphere summer is upon us. We're celebrating the arrival of longer days and seaside vacations with our annual waterproof compact group test. This year's test includes the Canon PowerShot D30, Nikon Coolpix AW120, Olympus Tough TG-3, and Ricoh WG-4 GPS. See which of these rugged compacts came out on top. The Nikon 1 System has been around for a couple of years now, but the emergence of the AW1 signals a radical departure from what has been the norm. Functionally very similar to the 14MP J3 which Nikon announced earlier this year, the AW1 is waterproof to 15m (49ft), shockproof from 2m (6.6 ft), and freezeproof. It's being announced alongside two equally rugged lenses, and a range of colorful silicone skins for underwater and wet weather use. We had the opportunity to use the new camera recently, and we've put together a first impressions review covering its design, operation and key features. 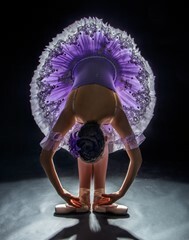 Click through for a link. Nikon has announced the 1 AW1, the world's first rugged, waterproof mirrorless interchangeable lens camera. 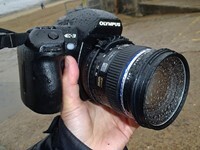 It has also made AW versions of its 11-27.5mm f/3.5-5.6 and 10mm f/2.8 lenses that are both shock and waterproof. The Nikon 1 AW1 features similar underlying specifications to the J3, featuring a 14MP sensor capable of shooting at up to 15 fps with continuous AF (60 fps with focus fixed), but is waterproof to a depth of 15m (49ft) and shockproof from a height of 2m (6.6 ft). It will cost around $800/£750/€799 with 11-27.5mm lens and $1,000/£950/€1019 with the 10mm f/2.8 added to make a two-lens kit. 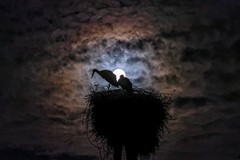 As part of its 'AW' launches, Nikon has announced the Nikkor 1 AW 10mm f/2.8 and 1 AW 11-27.5mm f/3.5-5.6 lenses. Both lenses are existing designs built into waterproof, shockproof housings and are only compatible with the Nikon 1 AW1 body. 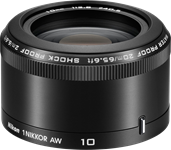 The 1 AW 10mm f/2.8 offers a 27mm equivalent field-of-view and will be sold separately for around $200/£300/€319. The Nikkor 1 AW 11-27.5mm zoom offers a rather limited 30-74mm equivalent range and will only be available as part of a kit with the camera - meaning there are no image-stabilized AW lenses yet. Well now here's a pleasant surprise - Nikon has released a rugged, waterproof mirrorless interchangeable lens camera - along with a pair of equally tough lenses - for a starting price under $800. 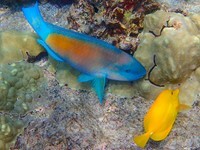 Those familiar with Nikon film cameras may fondly recall the days of the Nikonos, with which the company dominated underwater photography from the 1960s onward. So-called 'blimp' cases are designed to greatly reduce the sound of a camera's shutter, making it safe to take record shots during filming for TV and movies. Typically, commercial blimp cases cost upwards of $1000, but pro photographer Dan Tabár made his own using a Pelican case, some ABS pipe fittings, a wireless shutter release, and other simple parts sourced at a hardware store, for around $80. Click through to see how well it works for both sound suppression and underwater shooting. Olympus, along with Pentax, is one of the pioneers of the underwater/rugged camera. Its first camera, the Stylus 720 SW, was introduced back in 2006, and the rest is history. Many, many generations of rugged cameras later, the Tough TG-1 iHS arrived, and it brought something new to the genre: a fast, F2.0-4.9 25-100mm (equivalent) zoom lens. This was a significant improvement over the slow lenses normally found on tough cameras. Two other notable features were support for conversion lenses, and limited manual exposure control. CP+ 2013: With the WG-10 Pentax has created a more affordable waterproof digital camera, one that still withstands depths of 33 feet, as well as the usual drops, dust, cold, and pressure. With a 14MP CCD sensor, Pentax says the camera can produce 'poster size' images thanks to its new imaging engine, and can also capture 720p videos. Its 5x lens zooms from 28-140mm equivalent. 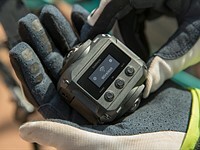 CP+ 2013: Pentax announces the WG-3 rugged digital camera, available with and without a built-in GPS. Both versions feature an image-stabilized 16MP CMOS sensor, and now an F2.0-4.9 lens with 25-100mm equivalent zoom. 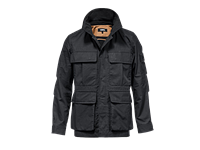 Both are also waterproof down to 45 feet, drop-resistant from heights of 6.6 feet, dust-resistant, and can handle temperatures down to 14F. Finally, they're back-pocket-safe, meaning you can sit on them and they're still likely to work (they can handle up to 220 pounds of pressure). 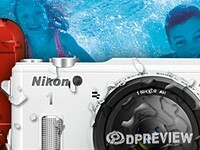 CP+ 2013: Nikon has announced the Coolpix AW110 and S31 tough, waterproof cameras. The AW110 is the more resilient and feature-packed of the two. It features a 16MP BSI CMOS sensor, OLED screen and a 28-140mm equivalent stabilized zoom. It is waterproof to 18m (59ft) and shockproof from a height of 2m (6.7ft) and includes both GPS and Wi-Fi. The S31 is built around a smartphone-sized 10MP sensor and includes a 29-87mm equivalent lens. It's waterproof to 5m (16.5ft) and shockproof from a height of 1.2m (3.6ft). 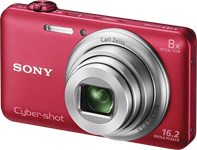 CES 2013: Sony has announced five Cyber-Shot compacts, including the Wi-Fi-capable, 16MP CMOS-based DSC-WX80 with its 25-200mm equivalent zoom lens. There are also two CCD-based W-series cameras - the DSC-W730 which shares its lens with the WX80, and the DSC-W710 that has a 5x 28-140mm equiv. zoom. Beyond these are the 16MP CCD-based 5x rugged, waterproof DSC-TF1 and the 26x DSC-H200 superzoom. 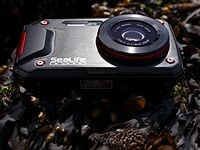 CES 2013: Fujifilm has announced the FinePix XP60, the latest addition to its rugged waterproof line of compact cameras. 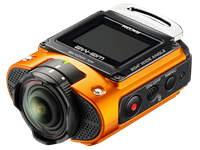 The 16MP XP60 is waterproof down to 6m (20 feet), has a 5x optical zoom lens, image stabilization and can record 1080i60 video. A dedicated 'burst mode' button offers up to 10fps at full resolution. 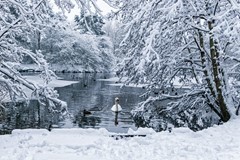 The camera also comes with a sweep panorama mode as well as several effects filters. The XP60 will be available in March. 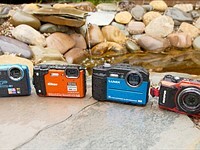 CES 2013: Panasonic has announced the Lumix DMC-TS5 (FT5 in Europe) and TS25 (FT25 in Europe) compact waterproof and shock-resistant 'adventure' cameras. The higher specified TS5 is waterproof at depths of up to 12m (39 feet) features a 28-128mm equiv 4.6x zoom lens, 1080p60 video and Wi-Fi capability. New on offer is Near Field Communication (NFC), a close-proximity radio connection that the camera can use to initiate a Wi-Fi connection with a compatible device simply by tapping the two together. 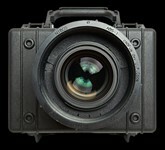 The cameras will be available at the end of March in a range of colors. Weatherproof, splashproof, waterproof - these are popular terms in the camera manufacturers' marketing material but what do they actually mean? Rob Spray takes a closer look at environmental protection standards and explains them in this article.